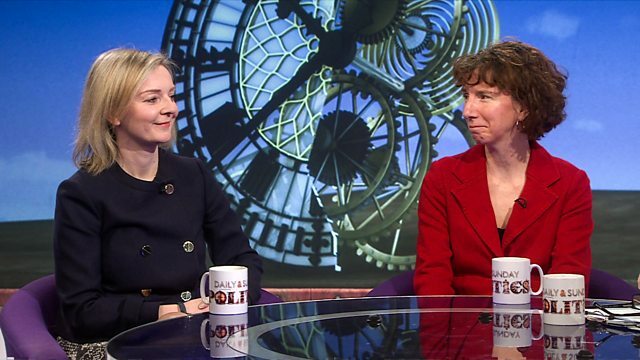 Andrew Neil is joined by Liz Truss MP and Anneliese Dodds MP for the latest news and debate from Westminster, including live coverage of Prime Minister's Questions. Andrew Neil is joined by chief secretary to the Treasury Liz Truss and shadow Treasury minister Anneliese Dodds for the latest news and debate from Westminster, including live coverage of Prime Minister's Questions. The Guess the Year competition closes at 12.30pm during the live broadcast of this programme. Corbyn: National or local 'incompetent' Tories? English fans safe at World Cup in Russia?